New legislation will establish commissioner to handle the issue of rising anti-Semitism in the country. The German Bundestag on Thursday approved legislation to establish a new commissioner to handle the issue of rising anti-Semitism in the country, JNS.org reported. 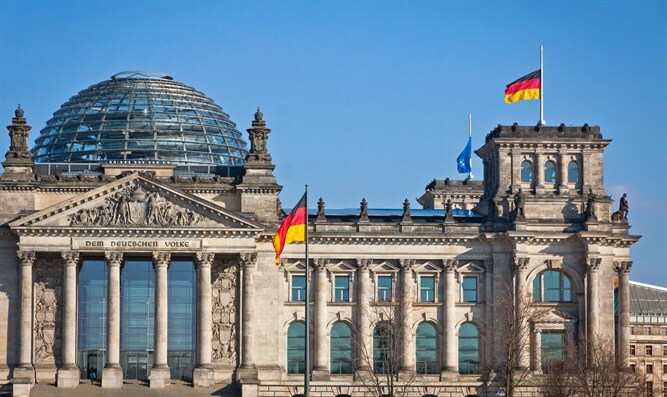 The bill was backed by several major German parties, including Chancellor Angela Merkel’s Christian Democrats (CDU), the Social Democrats, the Greens and the Free Democrats. The legislation is an effort to implement a strategy to root out anti-Jewish sentiment and crime as part of a 17-point proposal. Volker Kauder, the CDU’s parliamentary head, said that given Germany’s history, decisive action against anti-Semitism is a national priority. He said it is “shameful” that Jewish institutions need to be protected by police and that some German Jews are afraid to openly identify as Jewish in public. Many Jewish community members and other observers attribute rising anti-Semitism in Germany to an influx of Muslim migrants hailing from countries with deep-rooted hatred of Jews and Israel, as well as the rise of far-right political parties, noted JNS. Last month, Charlotte Knobloch, the former president of the Central Council of Jews in Germany, voiced concern over the growing anti-Semitism in the country, saying the threat comes from the center of German society and the government needs to act. "Anti-Semitism has grown on the right and the left, in the Muslim community and also in the heart of German society," warned Knobloch, currently the president of the Jewish Community of Munich and Upper Bavaria, adding that an efficient approach to fighting public and covert anti-Semitism is long overdue. German Jewish leaders, who have long called for the new commissioner, praised the creation of the post on Thursday. Schuster added that it is important to address the issue of anti-Semitism “whether it comes from the middle of society, from right-wing extremists, or Muslims and Israel-haters” such as activists from the BDS movement, which has also been growing in Germany. Several anti-Semitic incidents took place in Germany last month alone. During Hanukkah, a hanukkiyah installed in the city of Heilbronn was attacked and damaged by vandals. In addition to the vandalism during Hanukkah, about 2,500 people demonstrated in Berlin against U.S. President Donald Trump’s decision to recognize Jerusalem as Israel’s capital and burned an Israeli flag. In another recent incident of anti-Semitism, a video documenting a 60-year-old German man berating and insulting a Jewish restaurant owner in Berlin went viral. German Justice Minister Heiko Maas condemned the Israeli flag burning and said there was no place for anti-Semitism in Germany.